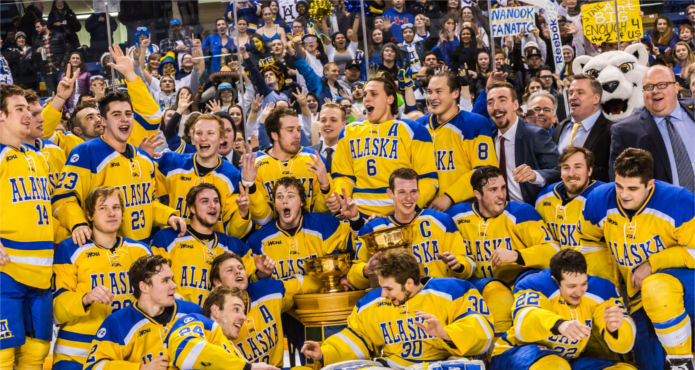 The Coaches Site caught up with University of Alaska Fairbanks head coach Dallas Ferguson. Since the University is undergoing some major budget restructuring to make up for a major budget deficit, Ferguson is confident that his team, the Nanooks, will thrive on. The team has proved to be an integral fixture in the community and offers a program like no other in college hockey. 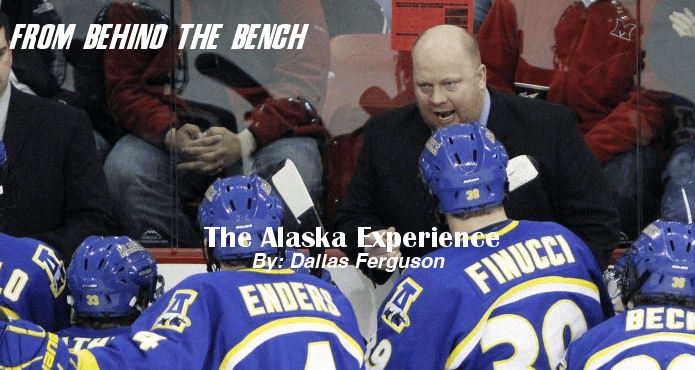 In this instalment of From Behind the Bench, Coach Ferguson talks about why he’s back here after playing college hockey for the Nanooks in the 90s, and what makes this program so special. When I was recruited up here in 1992, the process was certainly a lot different than it is now, mostly because there is just so much information out there today. People are doing probably a much better job than I did just at gathering information. During the recruiting process, I knew a player that I played junior hockey with that had played here prior. Everything he talked about was really positive. Back in the early 90s, the program was becoming an affiliate member of the CCHA and then moved into full membership status by the time I was a senior. For me, I was looking for opportunity, and there was a unique one here. There are a lot of similar qualities to the small town environment that you find almost anywhere in North America. The population of Fairbanks isn’t necessarily “small town” but I think the values within the community and for the people that live here certainly display the small town, simple life qualities. It’s a blue collar town and people appreciate hard work and the little things in life. For me, the similar value system that I had growing up in small town Alberta is why probably I’m still here 15 years later. It’s a good fit and a great place to raise a family. And people are passionate about hockey in general here and especially college hockey, so it makes for a fun environment and a great place to be a part of college hockey. I always reference the end of the season banquet, when you hear your seniors talking about the experience they’ve had over four years. It always comes down to the relationships they develop within the campus community as well as within the community of Fairbanks. They’re very appreciative of how much people care for Nanook hockey. They also talk about the experience they get within the hockey program. We focus on developing them as young men in the areas of academics, athletics and morally so that they’re ready for the next phase of their life. The athletes leave the program better than when they came in. We’re in the people business and we want our players to have a great experience here, but it’s a three pronged experience and we focus equally on all of them. That’s the experience you get here. 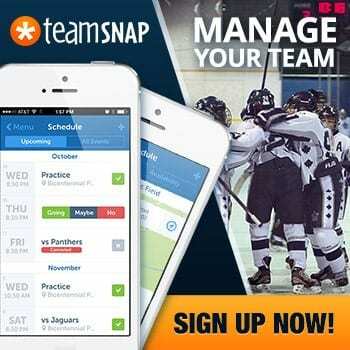 There’s also a uniqueness that you get playing college hockey in a non traditional college hockey market. Hockey is a big deal in this town, and on our campus, so our players get to experience that. It’s always fun to play in front of people who really appreciate what you’re doing — it’s motivation to continue to push harder and be better. When the players commit to come here to go to school and be part of our hockey program, they don’t expect to be here the rest of their lives. But there are many instances of student athletes coming up here, and whether they stay right after college or they leave to pursue their hockey career, they end up back here. You go where you’re going to get the best opportunity to play, to get the education you want and to develop as a person. I believe we offer all of that here. 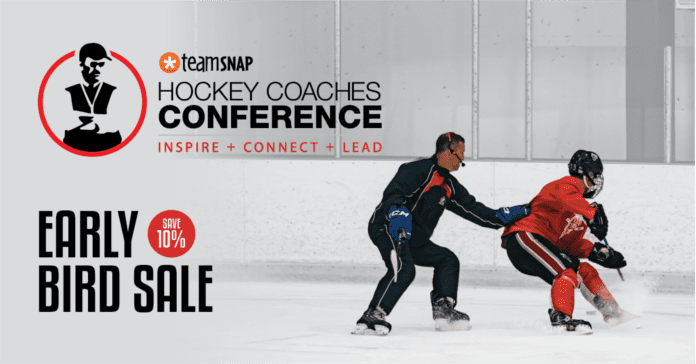 If you’re picking your school based on the weather and where shopping centres are and all those other things that can become a distraction in your development as a student and as a hockey player, this probably won’t be the right spot. Here, you’ve got to be focused in, and we use the word intent. You’ve got to have good intent every day on what you’re doing and why you’re gong to where you’re going. When families look at our program, they know that their sons are going to be taken care of academically and athletically, and that he’s going to leave a better person as well. So we recruit through what we have to offer. Logistically it’s not on the map of traditional hockey markets but at the end of the day we have a great reputation of being a competitive program as well as developing players who can move on to pro hockey. We’ve got numerous guys in pro hockey, and two guys from the last 10 years in the NHL right now. I think there are so many positives in what our program has to offer that if you’re truly focused on those things as a player, you’re the kind of player we want in our program. Four years ago, we had a significant upgrade to our game rink that brought us state of the art facilities, and that was the result of a lot of people in the community recognizing that it was a centre for the community. There were two parts — a renovation for the community that was going to make it more user friendly, and also a renovation that was going to enhance the facilities for its primary tenant, which is our hockey program. That was something that the community really took part in in making that happen. Our booster clubs, our face off club, and our alumni helped; a lot and people supporting our program helped get it done. Then there’s the aspect of community engagement which we think is really important to the experience of the student athlete. I’ve always been of the belief that it’s more important to give than to receive, and we receive a lot of positive and great things from our university and from the community as well. And so as a prominent athlete in our community, it’s important to give back to the kids and the people in the community. In life it’s a give and take, but I think the more you give, the more you’re going to be blessed to get. I want our student athletes to get out there and meet people and give back to the community that supports them. I think the value that they get coming through that is something you see four or five years after they leave the program. When they are a youth coach and getting their groups to give back to their own community. It’s a big cycle and we want to be a part of that. That’s part of the uniqueness, too. Many campuses aren’t as ingrained in the community as we are, it’s part of the Alaska experience. It’s always one of the top destinations on people’s bucket list to get to Alaska, and our players and families that get to come up here just have a wonderful experience. Regardless of where you’re at, you’re going to have to travel. We travel a little further but we’re fortunate that we get to do it by plane. Travel is travel. If you want to play in a great league in Division I hockey, you’re going to have to travel. It’s not something that we focus in on, it’s just something we manage. We focus more on making sure the players are taking care of their studies and taking care of their bodies. We don’t look at it as a positive or a negative, it’s just another game or two that we get to go and play as a part of a great league. 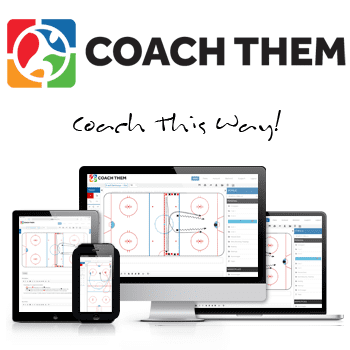 Since I’ve been with the program we’ve been in the CCHA and the WCHA. We’re very fortunate to be a part of those leagues and play against the great teams that we do. The travel is just something that you do. It’s always interesting when you reflect, and we do that a lot as coaches. Whether it’s short term after a weekend or long term in the summertime, you reflect on how things went for you. I always want to make myself better and, in turn, how I can make myself better to serve the program and the student athletes that are here. I think you start to learn more and more how important the people are within the organization that actually make it tick. Nine years ago when I got the head coaching job, it was really about the x’s and o’s of the game. Over time I learned that the tactics are the tactics and you can always be looking at different ways to improve. Now I think most importantly, it’s about making sure you have the connections and relationships with your team and with your staff. Sometimes that’s hard because you get wrapped up at this level. You’re not just focused on your team, you’re focused on recruiting, community engagement, alumni, academics, etc. But the one thing I’ve learned most about is just keeping in tune with the players and your staff. I love coaching and I love the game of hockey. Every year is different so I’m just always trying to make sure that we’re getting better. Continual learning has always something that has been really important to my development as as coach and hopefully the development of our program. I think Alaska is a special place with special people. We’ve had hundreds of players go through the program who’ve be able to experience it. Over the last ten years, we’ve really enhanced the alumni support, getting guys connected back to the program. And I think through that, you really get to see how special the program is. Whether you played in the 70s or the 80s when they became an NCAA program, to the level that the current program is at today. I think that the people coming here really embrace the good things about Alaska — the values, the people, and the environment. It’s really about enjoying some of the best years of your life where you get to be a student and an athlete. I feel very fortunate to be a part of a great program with the people in the community and the alumni and, of course, the athletes.